Fix that leaky AC unit! Your AC Unit is essential in maintaining a comfortable climate in your space. 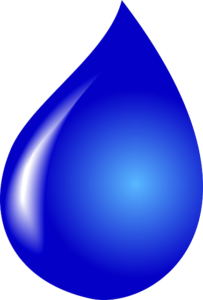 Whether you have a large rooftop unit or a small, ductless one, it’s never a good sign if they start leaking water. Here are some of the possible reasons for your AC unit to be leaking water. There is a whole laundry list of things that can make an AC unit leak if it was not properly installed. To keep these from happening to you, make sure you’re partnering with a qualified installer. Don’t be afraid to ask for credentials and references from previous jobs! When it’s super cold outside, it can cause the unit to produce more water. A small pool of water is perfectly normal and should dry up once the weather warms up again. If there is lots of excess water, this can cause leaking. Your AC unit naturally produces condensation when it is operating. If, for some reason, there is too much condensation collected, it can overflow the drainage pan. If this happens, the excess moisture in the unit can cause ice to form and build up on the coils. Because of the condensation that is produced by the normal operation of an AC unit, they need to have a way for the water to escape. There is a line that carries the accumulated moisture away from the inner workings of the unit. If there is a blockage anywhere in this line, the water cannot drain and that causes problems. This entry was posted on Friday, September 21st, 2018 at 11:12 am. Both comments and pings are currently closed.